Hand crafted and knotted in Nepal with exquisite care, the lush 100 knot wool and 70% silk Lapchi Ceruleo rug creates a soft pile underfoot that has average thickness. Abstract in design, the contemporary pattern reminiscent of a burst and neutral base with color contrast showcase casual elegance at its finest. The art inspired motif and earthy hues are luminous and intriguing, making it the perfect accent to contemporary interiors. 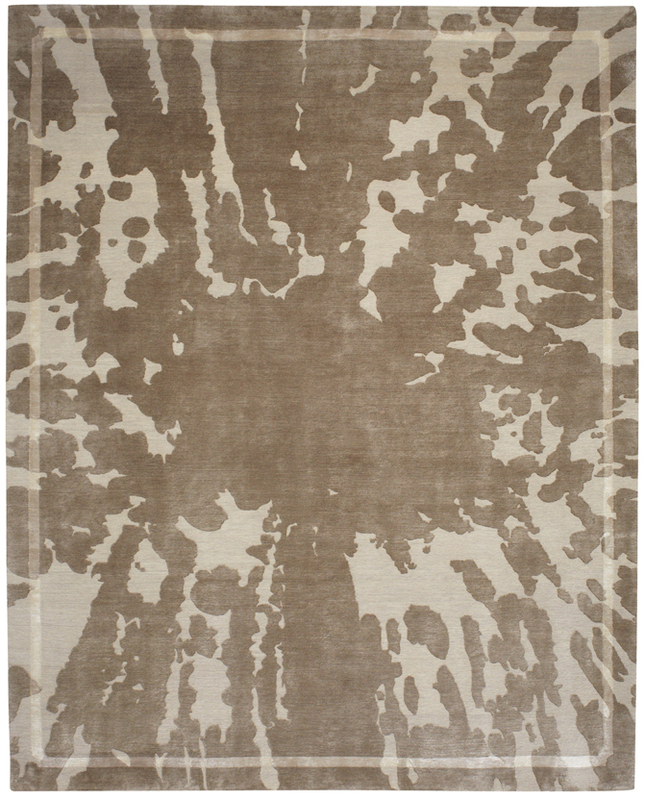 This beautiful rug is a stunning, artistic piece for the contemporary home.